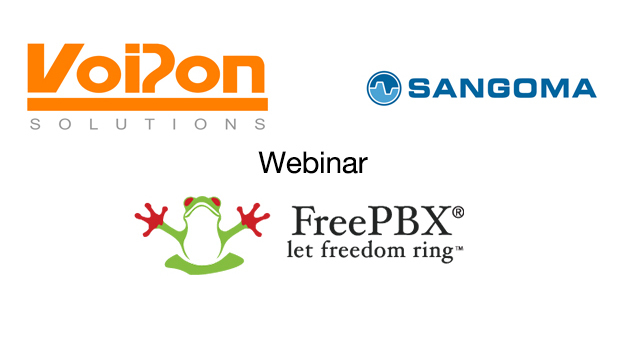 See our webinar with Sangoma discussing Sangoma FreePBX and its launch in the UK. Read the full transcript below. David Frith, VoIPon: Hello everyone, and welcome to today’s Webinar, officially launching Sangoma FreePBX to the UK market, hosted by VoIPon Solutions and Sangoma Technologies. We’re on time at 11AM BST, so let’s begin. We have three speakers today. 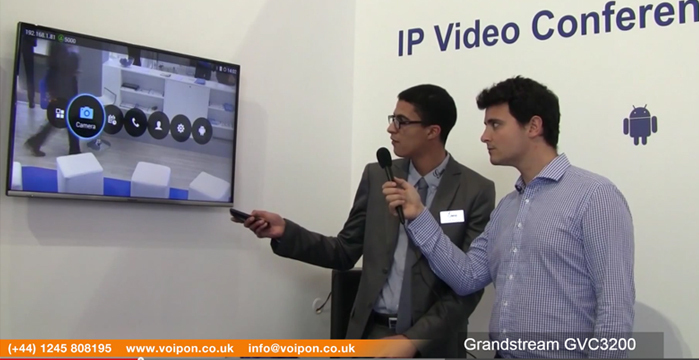 My name is David Frith, Marketing Manager at VoIPon Solutions. Joining me is Craig Herrett, Sales Manager at VoIPon (hello everybody) and Simon Horton, Director of Product Management at Sangoma Technologies (hi everyone). Feel free to leave us some questions for the Q&A section at the end. Behind the scenes we have a few other people helping out who will try and catch all of your questions and organise them for us. We will be focused on the presentation, but submit questions whenever you like during the webinar and we will answer them at the end. If your question is missed for any reason or we run out of time, we will personally be responding to you via email after we finish. So, today we will be discussing the Sangoma FreePBX range. We’ll give you some background to FreePBX and explain why Sangoma have acquired it. We’ll also discuss the different models available in the portfolio and why you should be using and recommending Sangoma FreePBX. When everything is covered, we’ll be aiming for about half an hour here, we’ll begin our Q & A session which you are very welcome to participate in. So, lets kick off with a quick section about VoIPon and Sangoma. Over to Craig. Craig Herrett, VoIPon: Thanks David. 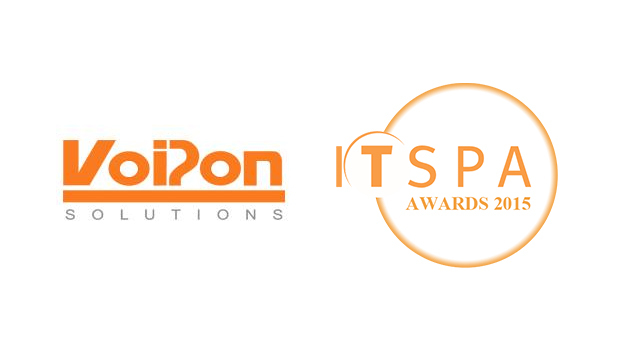 VoIPon Solutions is a worldwide distributor of VoIP equipment and has been trading in the industry for over 25 years. You can visit us at voipon.co.uk where you can see the widest range of market leading brands, Sangoma of course being one of the most popular we represent. We have extensive knowledge of all the products we sell and in-depth understanding of user requirements. We believe in the market’s potential and see the sector continuing to grow in the coming years. I’ll now pass you over to Simon to tell you a bit about Sangoma. Simon Horton, Sangoma: Thanks Craig, Sangoma is a leading provider of hardware and software products that enable or enhance IP and UC systems for both voice and data communications applications. Sangoma Technologies have powered some of the world’s most sophisticated VoIP networks and systems, helping to make VoIP a dependable business communications technology. The hardware and software that Sangoma delivers is always of outstanding quality and exceptional value, and we even go the extra mile to provide some of the very best service and support in the industry. As you can see from this slide, Sangomas product portfolio covers one of the broadest ecosystems in the VoIP Space. I’m not going to go into full detail on all of these. This could be a webinar just for this portfolio. I just want to highlight that it is possible to position most of these products alongside FreePBX to increase value of the sale to the customer. The most of obvious one is the addition of our telephony boards to the FreePBX hardware, but it is also possible to add VoIP gateways and SBC’s into the sale as well. Sangoma is all about empowering choice so there are sometimes more than one correct answer for the customer. So for instance if you want to bring an E1 connection into a FreePBX piece of hardware, you can either use a board or a gateway. There is no right or wrong answer here, but Sangoma provides the choice that the customer requires. Now, we’re going to start with a brief introduction to FreePBX. FreePBX is the most widely deployed Open Source IP PBX platform in use, with millions of production systems worldwide and around 20,000 new systems installed each month, and those 20,000 systems are not just downloads from the FreePBX website. They are actual installations and activation, so this is a huge deployed number. In fact, looking at our download figures, the UK is the fourth country in the list by the number of downloads, so as you might imagine America comes number one but here in the UK we are fourth in the number of downloads. This tells me there is already a very active community out there that we can tap into. I think the branding of FreePBX is well known and should be a relatively easy sale to our customers. Because FreePBX is Open Source, it enables users, resellers and enthusiasts to build robust communication solutions. FreePBX really is a fully featured PBX platform. In addition, FreePBX also has a commercial version. This is called PBXact and we’ll be talking more about this a little bit later on. For now we’re focused on the FreePBX version. So here you can see the examples of the features that are freely available with FreePBX. Of course you can see that we’re not going to go through each one of these in detail today, but this gives you the idea that this really is a fully featured PBX. I would like to point out some of the more important or popular features here. So, for instance call recording. As you can see call recording is present and as you will see on the next page, there are ways to make this even more powerful through reporting. All of the IVR and queuing features are also included, so these can be built up to match the customers existing workflow. Of course the whole PBX is built on the SIP standard and one of the things we pride ourselves on is our open interoperability with almost all the IP Phones that are out in the field today. I don’t know if you guys have ever been to a trade show where FreePBX have been exhibiting, but if you have been we bring a phenomenal number of IP Phones with us, maybe 300 IP Phones and the reason we do that is to demonstrate that FreePBX really is interop tested with all those phones. It really is the Freedom, FreePBX stands for Freedom and not Free of Charge. It really does bring freedom in the kinds of other elements in the ecosystem that you bring. There’s tons more details on our website of the phones that are interoped and if there are phones that are not in the list please let us know and we will start the process of integrating these. Today we cover all the most used brands, so Aastra, Audiocodes, Cisco, Digium, Panasonic, Polycom, Yealink… the list goes on and on, but those are the most popular ones. I kind of liken FreePBX to maybe a swiss army knife. It does have almost all of the imaginable features that you’d ever need, so it can be configured to exactly match the customer’s needs. There’s a huge amount of flexibility as you can see from this list. Just a quick reminder guys, please type in the questions – i’m not seeing many come through, but we’ll have time at the end to pause and go through any questions that you have – so please type them into the question box in the GoToWebinar control panel. In addition to all of the great features on the previous slide, FreePBX comes with the option to purchase add-on modules. These are sometimes referred to as commercial modules on our website, but effectively they are additional features that you can pay a small fee to get access to – these add even more power features to the PBX. The key thing here is that this makes a great additional revenue stream for all of you as there is margin for everyone in the sales chain when one of these is purchased. Typically, from the statistics, we see that around 25 percent of people who activate FreePBX go on to purchase an add-on module. This figure is much higher for the folks who buy appliances like those we are talking about today. So you know 1 in 4 people go onto purchase, via our website, commercial modules and there’s margin through the entire sales chain for this. I’ve highlighted the most popular modules here, so for instance endpoint manager allows auto provisioning and configuration directly from the FreePBX GUI for over 150 popular desk phones. System Admin Pro adds more functionality to your sysadmin modules, so DDNS, email setup, UPS management and update management. There’s also bundles available that bring together the most popular modules. For instance, our system builder basic module which include endpoint manager, sysadmin pro and phone apps retails at $200 for a 25 year license. In fact all of our modules have a 25 year license so no recurring costs involved. Speaking of Phone apps which is in that bundle I just talked about, let’s take a closer look at what those phone apps can do. So these FreePBX phone apps add-ons empower users to intuitively manage call settings features directly from their phone, so this means it minimises the reliance on hard to remember features and user no longer need to log in to the PBX GUI to modify settings, so you don’t have to remember that *69 is a ‘Follow Me’ and *83 is ‘Do Not Disturb’. It can all be run directly from the screens of the phone. So the phone integrates directly with FreePBX at the endpoint manager add-on. So phone apps allows users to control functions and settings directly from their screen. It really is a very powerful and very important and very popular add-on. So included, there’s stuff like Call Park, Follow Me and management and Do not Disturb as well as all of those other apps on the slide. So you can really see why this is one of our most popular add-ons. It really does make it very easy for users to access the powerful feature set of FreePBX. So in addition to the FreePBX branded add-ons we also work very closely with partners that develop their own third party Add-ons for FreePBX. Some of these are shown here. If there is interest in any of these, let us know and we’ll point you in the right direction and again there’s a lot more information on our website about each of these. This is one area that we are hungry to expand over the next little while and we see a big market in this space. We are trying to build an even bigger ecosystem around FreePBX so moving away from just hardware sales and coupling our existing hardware offerings like boards and gateways into partnering with other companies that provide extra add-ons for FreePBX. So just to pick upon 2 or 3 of these – iSymphony is a web based call management solution so it allows you to organise people and the flow of information from your phone system, so it increases productivity via communicating on a real time platform with everyone in your organisation so it’s targeted at call management and call centres. Allison Smith is an interesting one, this lady is the voice of Asterisk, and she’s created many professional IVR recordings all over the world, and Loway who lead the way in the development of advanced software solutions with FreePBX. What Queuemetrics does is sets up modern standards for call centre performance measurements, so you can target it again in the call centre space and see all of the statistics involved with your call. So FreePBX, going back to the Swiss Army knife analogy. FreePBX can be tweaked or configured to work in many different areas and one of those areas we see quite a few deployments is around call centres and Queuemetrics really helps with those call centre deployments. So we’ve kind of covered the basics of FreePBX. What I wanted to talk about now is why did Sangoma acquire FreePBX and what’s so good about it? So there are a whole host of reasons why Sangoma completed this acquisition. We completed it right around the turn of the year so I think it was announced to the market – Sangoma’s a public company so we announce to the markets in Toronto January 2nd so very early in the new year. It takes a little while to integrate companies so we’ve spent the first quarter figuring out how we’re going to bring this to market and here we are in the 2nd quarter of 2015. We’re doing our launches in the UK and all over the world. So, why did we complete this acquisition? I think the most important is it’s a great fit right in the middle of our existing portfolio. As I’ve mentioned a couple of times already as well as selling a PBX, there’s a great opportunity to bundle or upsell other Sangoma products. So like telephony boards or gateways or even SBCs. We also need to remember that it’s not just Sangoma, selling a PBX typically increases the value of a sale to your customer so you can add IP Phones, you can add professional services all into the mix and this increases the average sale per customer or value of the sale per customer. 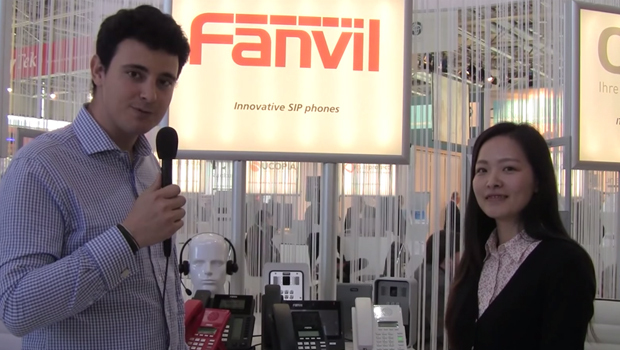 We’ve been asked many times in the past for PBX. All of our customers love the Sangoma product quality and they recognise the value in selling a trusted brand with existing recognition in the market. 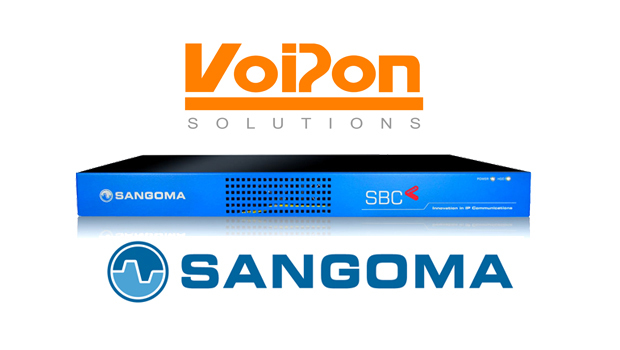 So over the last few years we’ve always been asked when is Sangoma going to bring a PBX out. We listen to that feedback and we always work closely with FreePBX anyway so it kind of makes sense to the acquisition of FreePBX as a centrepiece around which we can build things and can bundle other products. Sangoma has always been an Open Source project supporter and have a long history with Asterisk and FreeSwitch and we’ve actively contributed to those projects over the years. This commitment to Open Source has not changed through the acquisition of FreePBX. We’ve seen loads of examples of Open Source projects being acquired by commercially driven companies and after 6 months or a year the Open Source component disappears. That is definitely not our intention throughout this acquisition. Of course we’ll throw Sangomas larger resources behind this from R&D and marketing perspective to make this effective as our aim here is to increase sales, but our fundamental nature of our product and its Open Source-ness will not change. We’ve got some really good ideas on how we can develop the road map over the months and years so kind of keep watching this space as there’s some exciting news coming out over the next little while. So I am going to pass you over to Craig to talk about why you would need a FreePBX. Craig: Thanks, Simon. So we all know a PBX adds so much versatility and features to any telephone system to allow a better experience for your agents and most importantly for your customers. So why do you need FreePBX. Well you need a PBX, and looking at the marketplace, FreePBX delivers on a huge scale. Its better value for money than everything else I have seen. It’s made by a market leader in IP telephony, so it’s not made by someone who might only understand a small section of the market, Sangoma have been around since pretty much the beginning and have an end to end understanding of telephony. It’s made with the highest quality components and finally it’s user friendly – so much so that you can download the free version and get comfortable, and then buy and use the hardware. That’s really why we wanted exclusive distribution of the FreePBX. So I’m going to hand you back to Simon in a second just to go through the FreePBX portfolio, but I suppose what I’m finishing up saying is that everybody knows that we want a PBX, however it is, and looking at the market there’s really nothing that compares to FreePBX and especially for the cost…it’s pretty amazing. So over to you Simon. Simon: Lovely, thanks Craig. As Craig mentioned let’s talk a little bit about the FreePBX portfolio and take a closer look at the hardware specs. So in this market space I expect the system 50, 100 and to a lesser extent FreePBX Phone System 300 to be the largest sellers. For all these systems are based around the number of users the system can register or be enabled on the PBX. The FreePBX Phone System 50, as the name implies, allows 50 users or extensions and up to 25 simultaneous calls can be placed. The FreePBX Phone System 100 allows 100 users and 30 calls and so on and so on. I think these are pretty generous call allowances and definitely in line with the industry norm. All these hardware variants are telco grade hardware. We’ve all got enough power to easily support the numbers of calls we’re advertising here. When you buy Sangoma hardware, you’re leveraging our rigorous test routines. We make sure each system is robust enough for the task and we spend a lot of time in our test labs making sure that they operate perfectly. So I mentioned earlier we had this other variant called PBXact and PBXact is the commercial version of our PBX software. The key differences are the level of support and the features. Almost all the add-on modules are included in the PBXact price and it’s running the most stable code possible with a very controllable upgrade or patch path, so it doesn’t have the same flexibility that FreePBX has. Support is provided via annual support contracts. So with FreePBX the software is more open so it is the responsibility of the system maintainer to keep up to date with patches – Add-on modules must be purchased separately. Of course the different options are targeted differently. The bulk of today’s uses is based around the Open Source model. We want all folks to be purchasing hardware through our Sangoma channels i.e you guys out there today. The target market for PBXact is more the existing fully supported PBX players like Panasonic, 3CX and Mitel. Here with PBXact we are offering a turnkey fully supported PBX that is very much enterprise grade and can compete in that channel. I see this category, the PBXact category expanding over time as we gain more traction in this market, as the more people see the value that this offers. So, to drill into prices a little bit more here are the prices for the three most popular FreePBX models. The 50, 100 and 300. As you will see, the list price for the system 50 starts at $579 or about £390. We’ve been pretty aggressive, or really aggressive I think, with the price structure of these products and as usual the channel benefit from the margin normally associated with selling Sangoma. The System 100 is $1195 or £800 and the system 300 is $1595 or £1100 but alongside this as I keep on mentioning, this is the centre of hopefully a portfolio of stuff you can sell alongside IP Phones and alongside other Sangoma Hardware. We also carry some support services including per-hour basic support and annual support agreements. Obviously the guys at VoIPon who are distributing for us in the UK can give you accurate pricing and more information on all of these offerings. So, as you can see here, PBXact really sits in a different market segment. Prices starting around a couple of thousand dollars or £1350 but for this you are buying a fully certified, fully tested and fully supported PBX with nearly all of the add-on modules included. In addition we offer the typical Sangoma support models including Gold, Silver, Platinum… and Platinum include 24/7 support if you need it. We have a bunch of remote installation and configuration options as well. OK, Craig. I think over to you to talk about what’s next. Craig: Perfect, thanks Simon. So in summary we’ve looked at the history of FreePBX and talked through the different benefits and different models available. FreePBX is infinitely flexible, feature rich and highly scalable with advanced features and add-on modules available. FreePBX empowers companies. All units are available to order now and demo units can be arranged against committed purchases. Be sure to visit VoIPon.co.uk to learn more, find resources and place your order. We offer a range of benefits including reduced pricing to authorised resellers. You can sign up at voipon.co.uk/resellers. Our contact info is on the screen now and we’re always happy to help. We’ve also got out phone number on there, so if you just want to phone and ask a few more questions we may have not covered in this webinar and you don’t ask the question at the moment, or get answered at the end, feel free to give us a call. And that’s it for the planned content we have for you today. I hope we’ve covered everything you wanted today, but if not, now is the opportunity to ask us any questions as we open the forum to yourselves. So I don’t know if you guys have any questions on the panel? Simon? Craig: So obviously most people know about VoIPon and we represent an awful lot of manufacturers, much to some of our manufacturers distaste! However, as I mentioned earlier we were keen with FreePBX. If you look at what you get, it’s amazing. It’s not a cheap PBX, it’s excellent value for money and you could argue that it does sit in the lower scale of purchase pricing, so the price band is low. The feature set is amazing. I mean I compared this to lots of the people that we represent. I also compared it to people that we chose not to represent. I think when you look to the feature set, it won, straight down it just won. Then you look to the components and way it was built and again it just won. So we were really excited just to get onboard with FreePBX as quickly as possible and as it was it took a little bit longer than we initially wanted, but we’re there now. I’m pretty excited for the future. The PBX market as we know has a lot of players in it, so if you’re coming to market you need a good brand, you can tick that box. You need an awful lot of good features because there need to be some Unique Selling Points. There needs to be a reason to buy it, so let’s tick that box and then you’re kind of looking at the price on the installation side of it. OK, we can tick that box, and then you look along some of the other people that have USPs out there i.e that offer free downloads and see what your going to get before you purchase and you can tick that box. So there’s not much that this appliance doesn’t answer or this software doesn’t answer. Hopefully I’ve answered that question, I feel like I have, it’s certainly won myself over and the team at VoIPon hence the reason we pushed for this. Yeah, so that’s the reason to buy FreePBX. Perhaps I can answer that one. So on the Sangoma Website we do have a very well thought out partner application process so if you want to become a Sangoma partner, the thing to do is browse our website, go and look for the ’how to become a partner’ link and start that process off. What will happen is, someone from VoIPon or Sangoma will get in touch with you, and talk through the requirements, so please go to the Sangoma.com website and follow those links. Craig: Just to add to that we’ve really worked on our support process as well, although a lot of people offer sign ups you can log in to be a partner, then you have to go through lots of hoops and stuff, actually we are a partnership now so if you want help there’s support there which I think is another major difference in entering a market such as the PBX market, and then having the support behind you, to actually make it work, so…sorry to jump in there Simon. Simon: No, thanks Craig. There’s quite a few, really quite technical questions coming through as well about our Asterisk Card portfolio. So let me cover what cards can you add into the PBX question, maybe I can just talk a little bit about that generally. The thing to remember is that the System 50 has PCI and the 100 and 300 are PCI Express, so you need to pick either the E or Non-E variant of the boards depending on what system you want to fit it into. The system 50 has 1 PCi slot but actually has space for 2 boards so on our A200 for instance you can actually add the A200 and a sidecar board as well to get 8 ports, so that covers that one. We will have very soon a complete list on our technical support website which will indicate which boards fit in with chassis, and thats going to be a key thing moving forward. If you’ve got any questions on this, just ping the guys at VoIPon or Sangoma an email and we’ll tell you exactly what you need. If you go to our technical support website, which is www.wiki.sangoma.com, you’ll find all the information there. Craig: Perfect, I think we’re about on time Simon, so are there any more or do you want to answer these afterwards? Simon: There’s a few more, but I think we’ve covered the most important ones. Any we don’t get to, as David said at the top, we’ll make sure we send a personal reply to anyone that’s asked questions here. Craig: Cool. So, we’ve had a great time with you all today for doing this webinar, thank you for joining us. If we haven’t responded to your question, we’ll email you shortly and get you an answer. We’ve had some good interaction with the questions at the end there and unfortunately not a lot of time, which is always a good sign, so thanks for joining us, have a great day and we’ll be in touch when we have another webinar ready for you. Thanks very much!